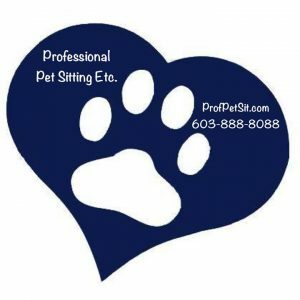 « Advantages and Benefits of using a Professional Pet Sitting Company? for Professional Pet Sitting Etc. Make sure to visit us OFTEN, new articles are publishes every week !! Pet Sitting and Dog Walking Jobs for Professional Pet Sitting Etc. What is YOUR Pet Care Need? Advantages and Benefits of using a Professional Pet Sitting Company? Is a Dog Walking and Mid Day Let Out Program Right for you? Let’s Find Out !! We may NOT be the Company for You If…..
What are the Benefits of Overnight Pet Care? What Happens at a Pet Sitting Visit? What Pets do Professional Pet Sitting Companies Care For? Why is it important to make my reservation online? Why would I need to use a pet sitter? Dog Walking & Mid Day Let Out by Professional Pet Sitting Etc. Pet Care Visits by Professional Pet Sitting Etc. Why Does My Cat Eat Strange Things? Does your Dog’s Toys Smell? Is My Dog Losing His Eyesight? Is That A Strain or Sprain With Your Dog? Is Your Dog Marking All Over? Are You Worried About the Cost of Veterinary Care? Ever Wonder Why You Chose the Pet You Have? Fireworks, Thunder, etc, Are Your Pets Afraid? What is going on with your pet’s breathe?